Isagenix has earned a spot on Inc. magazine’s Top 5000 list as one of the fastest-growing companies in America—propelling its three-year growth by 83 percent and moving up in rank to 3,764—for the eighth year in a row! For the past 33 years, the publication’s Top 5000 list has given readers a deeper understanding of America’s rapidly growing entrepreneurial landscape. What’s more, Isagenix was recognised as a Five-Time Inc. 5000 Honoree for being on the list for five consecutive years or more. As an honoree, Isagenix joins entrepreneurial trend setters like Intuit, Zappos, Under Armour, Microsoft, Jamba Juice, Timberland, Clif Bar and Pandora. Additionally, new powerhouses like GoPro, Tough Mudder and Lending Club made this year’s list. Established in 2002, the Chandler-based health and wellness company has exceeded $2.5 billion in cumulative sales thanks to their independent sales Associates located throughout the United States, Canada, Puerto Rico, Hong Kong, Taiwan, Australia, New Zealand, Mexico, Singapore, Malaysia and Colombia. As a result, Isagenix has created 121 Isagenix Millionaires, hundreds of six-figure income earners and led thousands of others to earn a residual income by distributing its products. 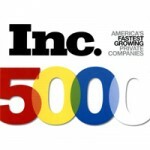 Complete results of the Inc. 5000 list, including company profiles and an interactive database, can be found on Inc.com/inc5000.